Learn the benefits of conversion rate optimization, baseline metrics/KPI’s and what is a good conversion rate. Learn where to begin with conversion rate optimization. 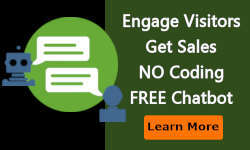 Learn why you need a landing page, long format vs short format, video landing pages and email nurturing. Learn CRO testing process and 3 phases to conversion rate optimization. Learn about the sales funnel, user engagement triggers and what trigger to use at each stage in the funnel. 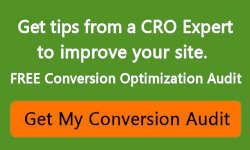 Learn about micro site conversion rate optimization. Learn about the many page elements such as title, CTA, page layout, action words, fonts, forms that convert, left vs right and thank you pages. Learn about page layout and flow and mobile and desktop design considerations. Learn how to simplify your page copy and write action words. Learn about forms that convert and how form length and left vs right presentation makes a difference. Learn what to ask and how to ask it with feedback tabs and surveys. Learn about A/B and split testing, testing goals and factors that affect your test. Learn about heat maps, form and funnel metrics, feedback tabs, need help tabs, lead sliders and popup surveys. 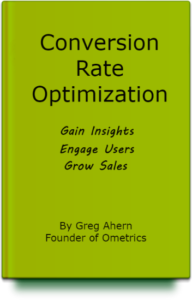 Learn some of the golden rules in conversion rate optimization. 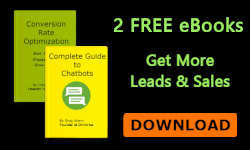 Learn some quick hacks about CRO.